While OSHA has a list of criteria that a space must have in order to be considered a confined space, the burden of compliance to any and all OSHA regulations is on the employer. This was the main driving factor of creating the OSHA act in 1974. The act was created to protect the employee from having to work in adverse environments and the act placed responsibility for that workplace environment on the employer and the employer alone. The employer determines if an area is a confined space for his or her employees. That being said, it is also possible for companies to label a space differently. 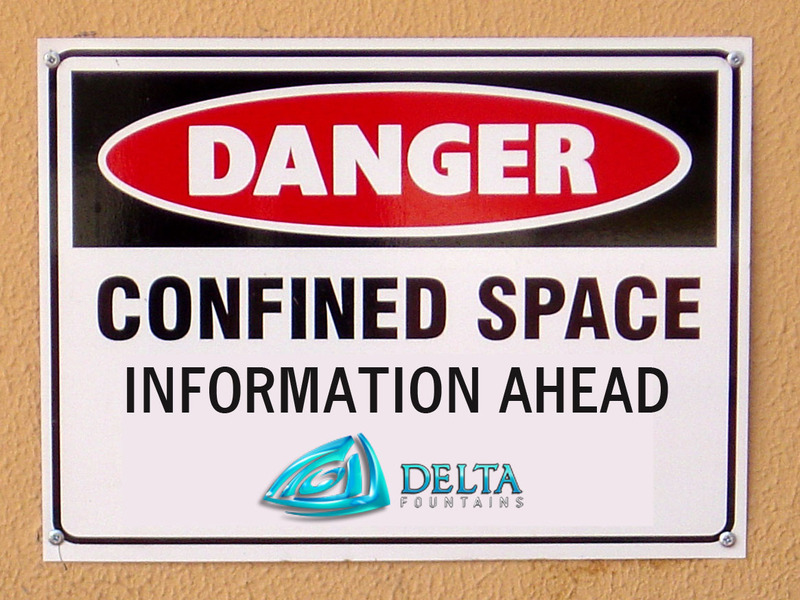 (e.g., Delta Fountains determines a space as not a confined space for our employees, while X Construction Corp. says it is a confined space for their employees.) In this scenario, both companies will proceed with the proper safety protocols accordingly. How do we define our vaults? We don’t define our vaults as confined spaces for our employees. Our vaults are designed as a conditioned space, being we design proper ventilation and contain heating elements which make them fit for continuous occupancy in any season. All our vaults can be occupied by at least one person for an 8-hour shift, thus we resolve that they meet the definition of being designed for continuous occupation (since it does not meet all three standards listed above and in CFR 1910.146). If you have questions about defining a confined space, safety tips, or the employer’s responsibility to their employees visit OSHA.gov, http://www.academia.edu/5346612/Whats_Not_a_Confined_Space, view the OSHA Confined Space Appendix A flow chart or view the video below. For more than 25 years, Delta Fountains has been partnering with clients to create water feature displays that enhance the beauty and enjoyment of the world’s communities. Clients bring us their visions and rely on our experience to supply the fountain designs, engineering and products that create the flows and splashes they imagine. To date, Delta Fountains has helped thousands of clients create fountains that reflect their dreams and our experience and innovation. We love what we do, and we never forget that it’s really about our clients.